The Snowmass Village Planning Commission on Wednesday, Dec.18, the day the board heard Related’s ideas for moving forward with Base Village. Dwayne Romero of Related has also been sharing basic vesting concepts with small, invitation-only groups. SNOWMASS VILLAGE – Related Cos. says it hasn’t produced a comprehensive road map of its way forward for Base Village because of a change in plans by Anderson Ranch Arts Center. The Ranch’s decision to not build a satellite campus has upended Related’s concepts for two buildings and delayed the release of an overall master plan, said Dwayne Romero, the president of Snowmass Acquisition Corp. LLC, the corporate entity that holds Base Village for Related. Absent a real plan, or in Related’s case, an alternative to the Town of Snowmass Village’s requested Major PUD amendment, Romero has been shopping around his own timetable and ideas about how elected officials should consider extending vesting rights and completion of the Base Village plan in general. 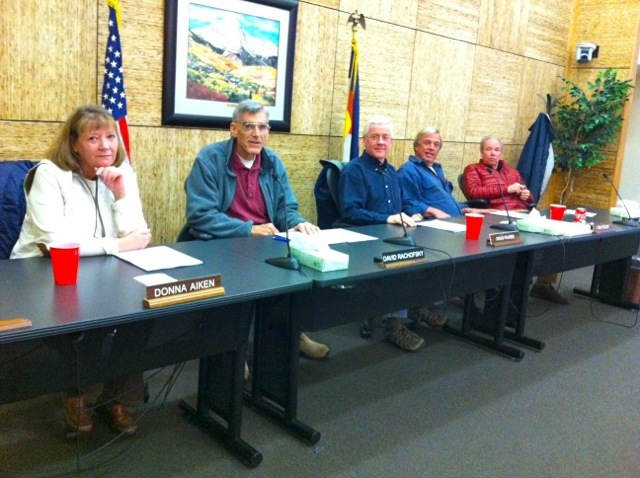 First to see this new lineup, on Dec. 17, was the Aspen Board of Realtors. “Overall, the brokers were happy to see progress. Dwayne showcased the Viceroy sales and was very excited for the Limelight hotel,” said Stacey Kelly, who works for Joshua & Co. In the past year, one-third of the existing Viceroy units have closed, according to Related. The town’s senior planner, Jim Wahlstrom, derided Romero’s partial submission to the Snowmass Village Planning Commission on Wednesday evening. Related’s plan makes assumptions that haven’t been met, including the Snowmass Village Town Council’s approval of Aspen Skiing Co.’s application to develop Lot 2, which includes a 102-room hotel, the Snowmass Mountain Club and 22 free-market units. Just this week Skico’s concept for Lot 2 started making its way through the approval pipeline; it’s scheduled to be considered by the planning commission on Jan. 15. That will be a big meeting for Base Village, with both Lot 2 and Related’s new plan set for consideration. Donna Aiken, the acting chair of the planning commission, decried the lack of a level playing field on Wednesday. “This seems to me stacked in your favor. I think there’s work to be done on this,” she said about Related’s submission. One area that needs attention, noted planning commissioner David Rachofsky, are safeguards to prevent more start-and-stop construction. Base Village is littered with a handful of concrete pads, green fencing and two partially constructed buildings that are detritus from the project shutdown five years ago. Just a third of the commercial component has been completed. And still fresh in the mind of some residents is that the Town of Snowmass Village had to call the bond on Building 7 in order to get the transit component completed on time. Romero responded by noting that Related was “in the process of moving forward with 13B,” the popular hotel’s second phase that will rise above its parking garage. In August, the developer received approval for the next Viceroy building, which will include 67 condo-hotel rooms. But according to town officials, Related has yet to submit its actual building construction plans for 13B to the community development department. And that could impact its original stated schedule of breaking ground by spring. Vesting – an extension of the approved development rights – remains top of mind for Related, Romero admitted Wednesday night. Project vesting continues only until next November. Some have criticized Related’s plan for its ambiguity and lack of guarantees. “I’m not in a position to (reveal) the master plan for Base Village,” Romero told the planning commission. “It’s simply this: This can be simple if we allow it. It’s a logical, one step, two step. We deliver on public goods before we go to the private sector stuff. One thing we can agree on, everyone wants Base Village to move forward. Earlier in the week, Aspen Skiing Co. had promoted the idea that it was the perfect entity – or perhaps as good as could be found – to develop a bonafide hotel in Base Village, because it could bring economies of scale. Those include its role as the Snowmass Ski Area operator and its ownership of a piece of beachfront property where it wants to develop 10 luxury cabins called the Fanny Hill Townhomes. Those factors could make the Limelight (Building 5) and Building 4 (free market condos and some retail space) viable. Once completed, Romero said Related would “come back around and do 6, 7 and 8. If you allow it to be, it can be quite simple,” he said. Buildings 7 and 8 are the unfinished structures on Wood Road that are identifiable by their faux fronts. Building 6 is near where the aqua center, which was originally offered as a community amenity, is sited in the plans. All three were intertwined with some aspect of the scuttled Anderson Ranch plan. Now Related needs to find a suitable community amenity, in order to satisfy this mitigation requirement. Within Snowmass Village it’s been widely circulate that Related desires to build free market units in the vicinity of the Aqua Center site, which is next to a ski trail. The town, meanwhile, may prefer that conference space, a performing arts center or other community purpose continue to be located here, as approved in the PUD. A request to Related for the proposed vesting map featured during Wednesday’s planning commission meeting was denied, even though the map was presented in public to the commission. The decision about vesting lies solely with the town council, according to Snowmass Village Town Attorney John Dresser. The planning commission is acting only in an advisory role. In Related’s perfect world, the initial vesting for Base Village would be extended to Nov. 3, 2016, from Nov. 3, 2014 and conditioned upon the “substantial” completion of the roundabout by Oct. 15, 2015. The idea is to not hold up a certificate of occupancy for the SkiCo’s Limelight project, which, if approved, would undertake an aggressive construction deadline in order to open by the 2015-16 ski season. Related wants to insert a caveat that the roundabout need only be “substantially” finished by this deadline, which allows for relief if there’s everything from inclement weather to labor disputes and a litany of other unknowns. Once the roundabout is finished, the developer is asking that the vesting be extended to 2019, when three other buildings could be finished. If that deadline is met, then the overall vesting would continue to 2024. In the meantime, Romero and Related will continue to shop around their alternative plan and attempt to curry favor in small group settings, including the Dec. 26 meeting of the Snowmass Village Part-Time Residents Advisory Board.